The next Bruins Give Back volunteer service event of Kellogg Community College’s Spring 2018 semester will be held from 9 a.m. to noon Friday, March 16, at Binder Park Zoo. A campus-wide service initiative of the College’s Service-Learning office, Bruins Gives Back brings KCC students and employees together in service through volunteering at locations in and around Battle Creek. During the March 16 event, KCC volunteers will help Binder Park Zoo prepare its children’s zoo area for the opening of the 2018 season. Bruins Give Back is held from 9 a.m. to noon on Fridays up to three times per semester, and past events have been located at elementary schools, community gardens and at various locations on campus at KCC, to name a few. All KCC students and employees are invited to serve at this and future Bruins Give Back events, and can sign up online via the form available at https://goo.gl/forms/ON6SHozz45FS3CXz2. All participants receive a free Bruins Give Back T-shirt! The first Spring 2018 Bruins Give Back was held Feb. 16 at Silver Star Apartments, a housing facility for homeless veterans in Battle Creek. 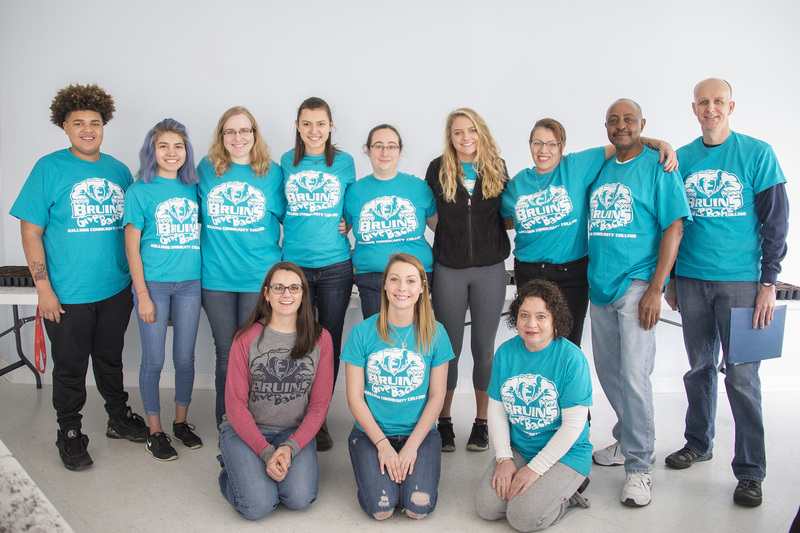 The third and final Bruins Give Back of the Spring 2018 semester will be held Friday, April 20, at the community garden on KCC’s North Avenue campus.